The Cairo is a radical reworking of the idea of a spotlight, no longer a hidden light source it becomes centrepiece and sculptural element in a room. Beautiful used singly and stunning when appearing as a multiple in rows. Referencing the Constructivist and Bauhaus movements, the Cairo spotlight's innovative design focuses on a playful opposition of the pyramid and circle motifs. 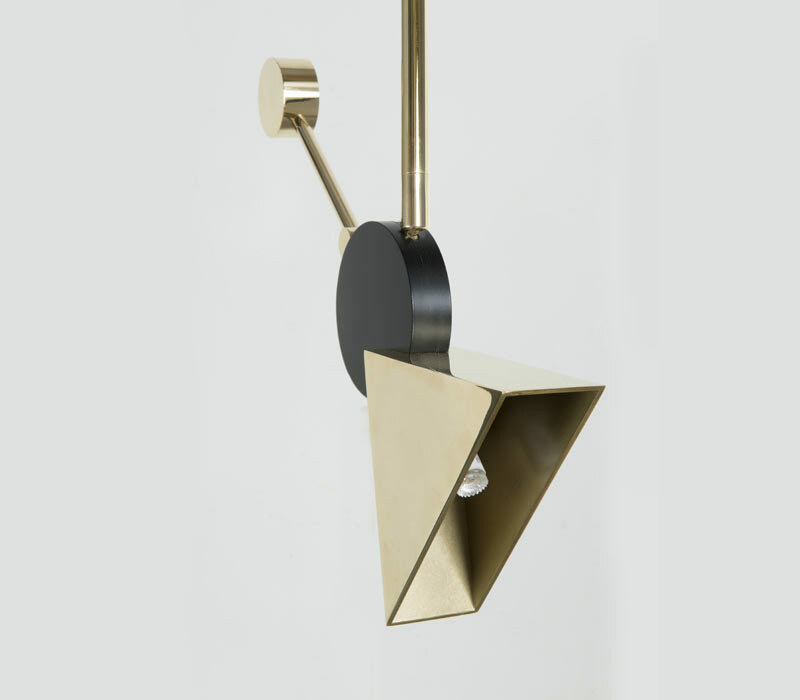 The distinctive pattened pyramid is hand welded solid brass, polished to create a jewel like finish. 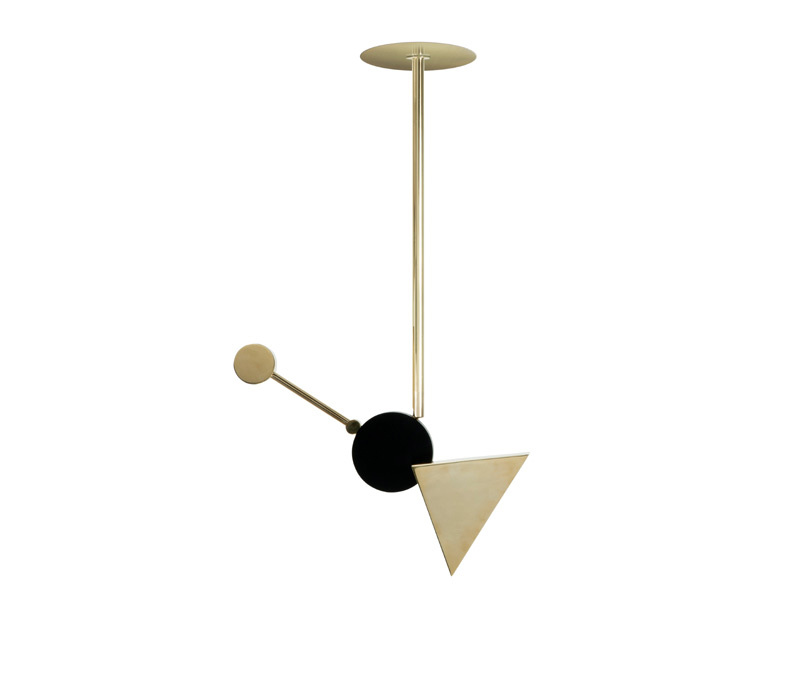 Spotlight with 270 degree rotation, 90 degree tilt, fitted on gold plated brass rod. Designed to be ceiling mounted, singly or as a series of spotlights.